The Best Chocolate Ice Cream – Ever! Some of you may know that I’m currently on an elimination diet (the Auto-Immune Protocol) to heal my health challenges through diet and lifestyle changes. One of the things I had to cut out of my diet completely is dairy. (The horror, right?!) Unfortunately I’ve realized that I cannot have dairy daily without feeling some of its effects. BUT thankfully, having a treat on occasion is still working well for me, so don’t worry, faithful readers – there is more ice cream in my future. After spending months religiously avoiding dairy, I began traveling the country with my husband in an RV. When we found ourselves in Minneapolis for a couple of days, I knew the time had come to have some real ice cream. 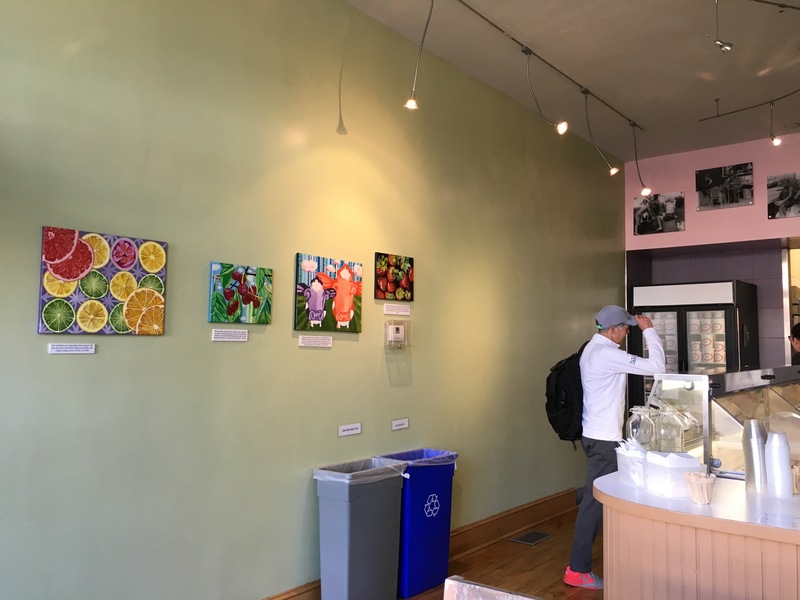 After all, the city is known for some great restaurants, and it’s the Midwest – I had a feeling they knew how to do ice cream here. 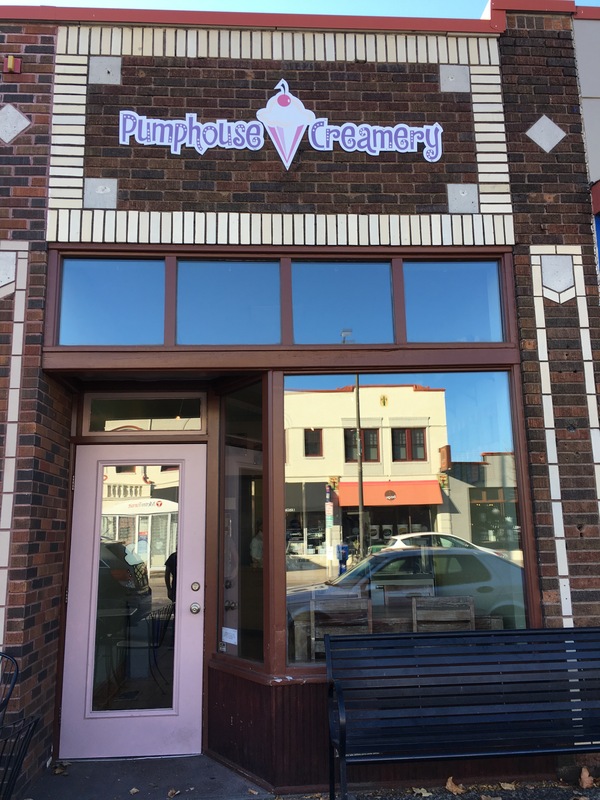 Of course I love to compare different ice cream places, but since I needed to watch my sugar intake and since I wasn’t sure how dairy would affect my body, I limited myself to one: Pumphouse Creamery. I chose it because of this – coconut milk ice cream. I can tolerate coconut milk, and amazingly they make it without any of the preservatives (like guar gum) that is standard in commercial ice cream. Basically, that meant they had some options that would be guilt-free for me – 100% on my diet! 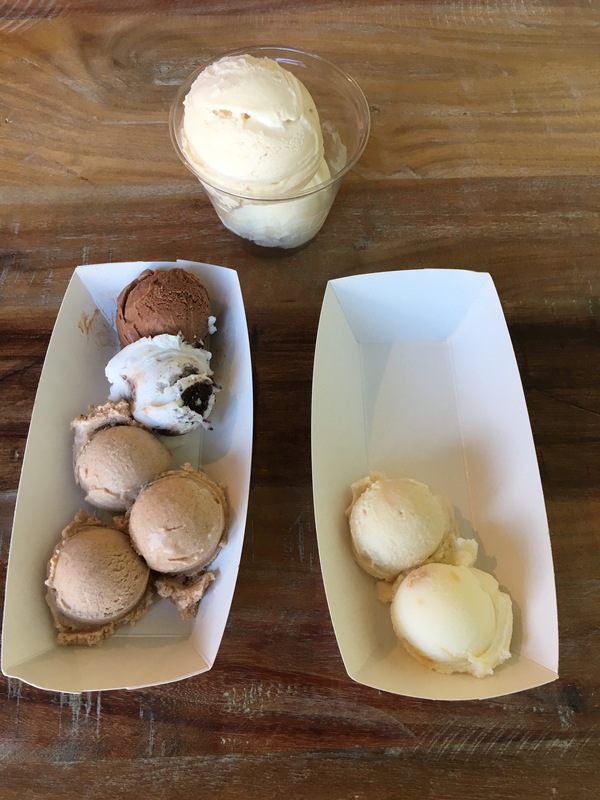 I decided that as long as I avoided gluten (my number one intolerance so far), I could indulge in their five scoop sampler. 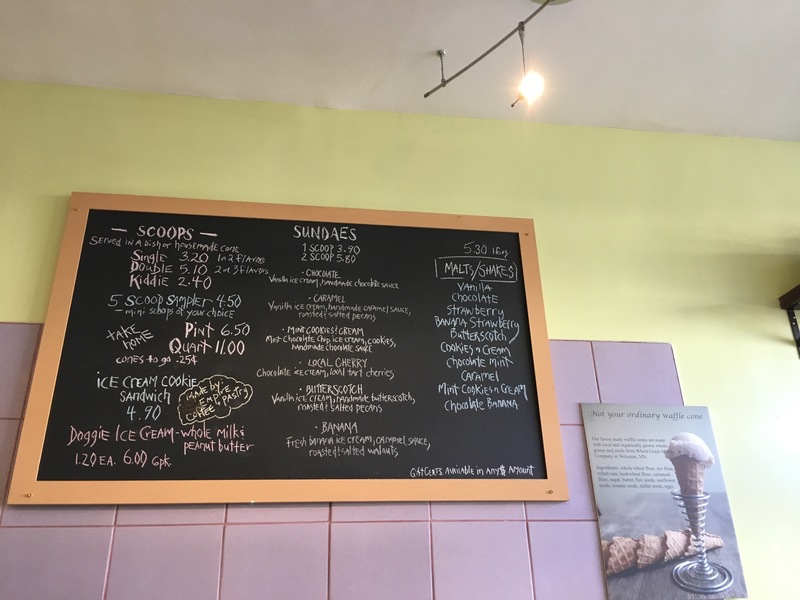 Pumphouse Creamery offers a trio of cinnamon ice creams! A very unique idea and since they were all gluten-free, I tried them all. It was fun to compare them. Sri Lankan Cinnamon – It has a touch of almost heat. Subtle and it’s creamy too. Delicious. Vietnamese Cinnamon- A very fun kick to it! I really liked it. Ross thought it tasted like fall. Indonesian Cinnamon – Very mild, subtle and creamy like the first. Strong initially, and a pleasant light taste lingering after; it was reminiscent of Cinnamon Toast Crunch to Ross. Mint and Cookies – coconut milk, gluten-free – This is such a light mint! It’s strong and yet light, a real melt in your mouth ice cream. It’s like the inside of a York peppermint patty that fills your mouth – and yet it’s light and airy. 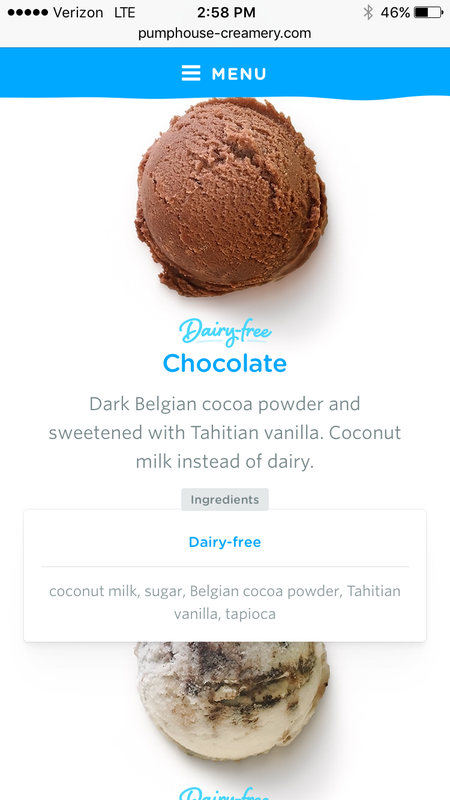 So nice – particularly as I’d been craving something like cookies and cream and finding that as a gluten-free option is really tough. Chocolate – coconut milk – This chocolate is heavenly. Hence the title of this post. This is legitimately my favorite chocolate ice cream ever. It’s like brownie batter! It’s rich, and has a touch of a fudge feel and yet it still melts in your mouth. Amazing. I never would have guessed it was coconut milk and I certainly never would have anticipated that a coconut milk chocolate ice cream would be better than all of the other chocolate ice creams I have had. Isn’t life full of surprises? After all, if I wasn’t cutting out dairy, I would probably have never discovered this flavor! Buttermilk Lemon Bar – Ross had to evaluate this one. I confess I took a couple of bites of buttermilk but sadly had to avoid the lemon bar chunks due to gluten. Ross found the base delightful and the perfect amount of sweetness – it’s just a bit sweet. Ross said that the lemon bars accentuate the sourness of the buttermilk. Pretty fun! We were so enamored with the chocolate ice cream that we had to find out if we could get some to take with us. They had pints and quarts. $11 for the quart seemed fair, but I think we would have paid anything. It was just that good. We couldn’t have made a better choice for my first ice cream after a long time away. If you’re ever in Minneapolis, this place is an absolute must. The owner and staff are super-nice too. It’s a small location with only a couple of places to sit, so be prepared to stand or walk outside if it’s nice (or come at a weird time of day like we did). But whatever you do, check it out – and bring a cooler! p.s. Thanks for doing your usual Amazon shopping via my affiliate link!